Percy & Reed Dry Conditioner - I only used this about two times then the other day I opened the drawer to get it out and use it and found all the product had practically exploded out of it. There wasn't a drop left in the can and it had completely covered all my other hair products in the drawer. I have no idea how it happened but I wont be buying this again in case the same thing happens again. I didn't even get a chance to see if I actually liked it. L'Oreal Volume Million Lashes Mascara - This is one of my favourites and have bought several tubes of it. 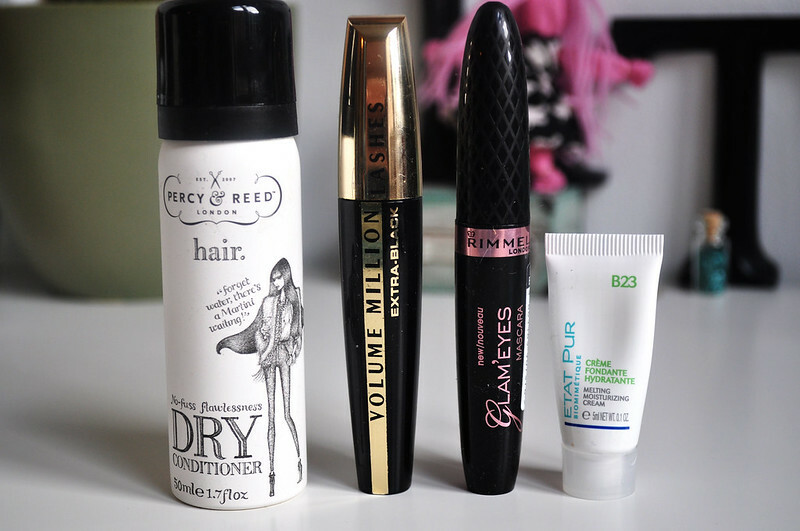 I always prefer mascaras with plastic wands and this one gives good volume and length. Rimmel Glam Eyes Mascara - This isn't one of my favourites but it's one that I do really like, it's a cheaper version of the L'Oreal one and is sometimes on offer in Asda which is when I usually pick it up. Etat Pur Melting Moisturising Cream - This was a good moisturiser but it doesn't beat Liz Earle's Skin Repair so wont be buying the full size. Sanctuary Bath Relaxer - This was too oily when I used it as a bath oil so I used it as a treat for my feet which worked wonders. I don't think I'd buy it again but was nice while I was using it. Margaret Dabbs Hydrating Foot Soak - I think this was in one of the first couple of Glossy boxes so has lasted a good amount of time. I probably used it once every week or so along with the bath relaxer. It smelt really nice and worked well but don't think it's worth the £20 price tag and wont be buying another bottle. I am going to look for a cheaper alternative though. Original Source Pineapple Shower Gel - Very sad to see this bottle finished as it was the last of my stock pile from last year. I think I bought like 5 bottles when they were on offer around this time last year and I've only just ran out. I haven't seen it for a few months in my local Asda so I'm hoping they bring it back next year as it smells amazing. 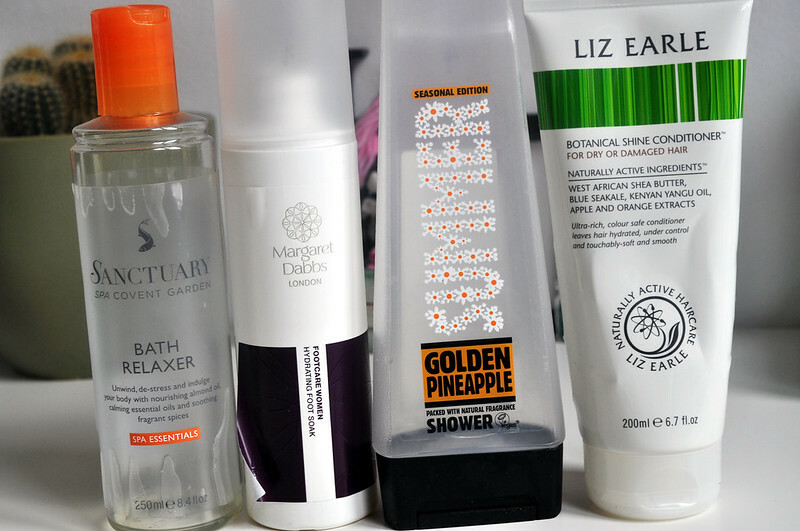 Liz Earle Conditioner - I really liked using this conditioner and is my second tube. It's really moisturising but if I was going to buy another Liz Earle conditioner then I'd go for the treatment as it's better. I love Original Source shower gel, it's really fresh. I love the mint one.